The different types of nails are a bit confused to be distinguished. 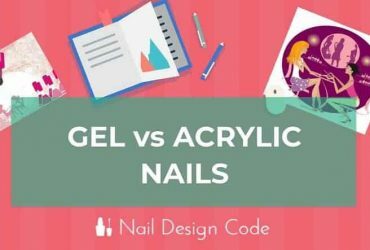 Gel nails and acrylic nails often get confused by the users. Solar nails and acrylic are also similar in many ways but different in terms of the chemical compounds. Gel nails can be helpful to those who are allergic to acrylic to have a nail extension. Solar nails are different than other extensions. Unlike acrylic, they are used directly to the natural nails. Here we have a comparative and contrastive discussion on Solar Nails and Gel Nails. Solar nails and Gel nails are mainly different in terms of their materials and applying process. One is a mixture of powder and liquid another is semi-liquid. Solar nails get harder by air whereas gel nail needs UV light. There is also a difference in the expenses of these two designs. All these things are discussed below. Solar nails, gel and acrylic nails.The public need to be educated on these are when the nails are built with acrylic (powder & liquid) filed and then a coat of thin gel polish is brushed on like nail polish and is cured under a light) also, do not confuse gel nails with a gel nail polish that comes in a nail polish bottle, is not meant for building and is applied like nail polish and , confused about gel versus solar versus acrylic nails!!! Solar nails are made of FDA approved chemicals Poly Ethyl Methacrylate. It is found in two formats: liquid and powder’. When these two compounds are mixed together they become solid and get attached to the nails. The entire nail and the cuticles are filled with this mixture till the whole nail is filled with the desired color. A lot of professional beauticians use solar nails as their first choice. Solar nails give a glossy and natural look on your fingertips. The color of solar nails are long lasting and the bails are more durable. Solar nails can be applied directly on the surface of your nail without harming it. Besides, solar nails are comparatively cheap and more viable. So, you do not have to go to the beauty salon so frequently. Solar nails can cost within the range of 25$-35$ depending on the designs and product materials. Solar nails are safe and they can be applied directly to the natural nails without causing any damage. The mixture of liquid and powder is applied on the surface of the nail. When it dries up you have to fill the gap between the cuticle and the nail. Wait until the whole nails are covered. These nails are refillable. If the beauty fades way you can have it refilled and renewed. Solar nails have long lasting durability. Several layers are used to strengthen the base coat as well as the solar nails. Never try to remove your solar nails forcefully. Soak them in acetone until the acrylic part of the nails are fully removed. If you try to pry the nails off forcefully they will harm your natural nails. Do the removal as gently as you can. Gel nails are mostly a substance of semi-liquid and sticky gel. These nails are taken care of under a light after being applied on the nails. 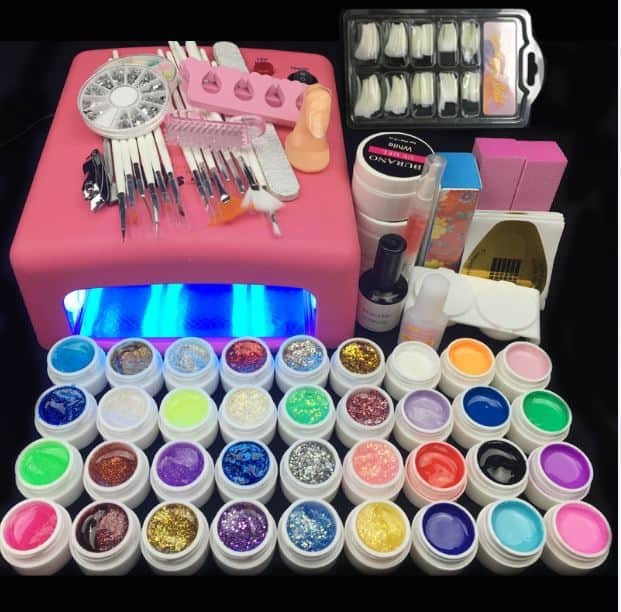 These gel nails are also made of a complicated chemical compound such as polymer resins and it is cured under UV light. 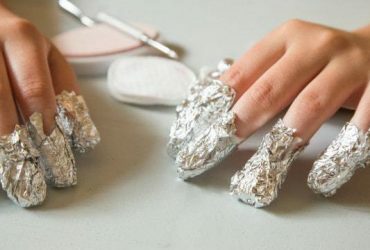 There are three steps in the way of achieving the gel nails. A base coat, a nail polish and finally the expected coat is applied and cured under UV light. That is why these nails are expensive to have. But, they have more positive side than the negative ones. These nails are more glossy and natural looking than other nails. The materials which are used in gel nails are not harmful to health. One great problem is gel nails are not easily removable. Despite all these pros and cons, gel nails have been used worldwide by renowned nail technicians. These gel nails are somewhat costly. You have to pay at least 35$ for a very simple design which may be increased to 100$ to have stunning gel nails on your finger. Gel nails are safe to have but the curing process is crucial. You have to use UV light for curing and UV is not good for our body. So, if you are so concerned with the bad effect of radiation you should avoid this. The application is easy except the curing part. Use the base coat and cure it under the UV light for 15 seconds. Then use your desired nail polish to design your gel nails as you like. Gel nails generally last for 2-3 weeks. But, these nails are not refillable. So, you have to remove the gels if anything bad happens. The removal of gel nails should be done with great care. The beds of your nails are very important. To avoid any damage you can go to a salon for removal. You can do it yourself too using 1oo% acetone or a gel remover. We have discussed how these nails are done, let’s see the difference regarding how they look. Solar nail gives a beautiful and glossy look to your nails. These nails are better than acrylic nails. They are more durable and can be fixed at home if broken. You can try this design which is comparatively cheap but gives better service. Gel nails give an almost natural look to your fingers. Since it needs three steps to have the gel nails done, this design is sometimes troublesome. But, considering the amazing look it will give you can undergo that trouble with a smiling face. Solar Nails and Gel Nails both have some merits and demerits. You will never the understand the meaning of light without the presence of darkness. So, nothing to be worried. Design your nails as your desire. No matter what if it is solar or gel.